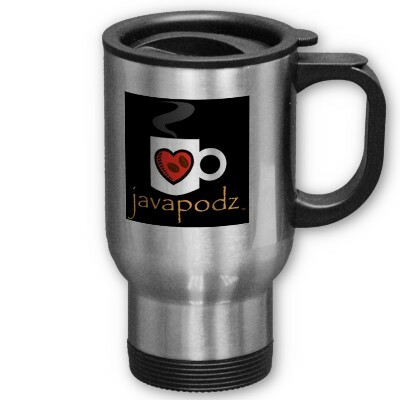 Be in style on the go with a custom stainless steel JavaPodz Signature travel mug. This spill-proof commuter mug has a removable plastic top. Please hand-wash only. Holds 15 ounces.